I think it’s a good think to keep your mind flexible and challenge yourself in the, seep out of your comfort zone and do something excessive. So when my girlfriend suggested I run the SwissAlpine mountain marathon I sort of said “yes” in my heads. The farthest I’ve run so far is 10K at the Detroit Turkey Trot, and that was years and years ago. This is a bit more challenging, but the people in the Swiss Startup community are inspiring, and if they can start cool companies, I figure I can run the K42 SwissAlpine mountain marathon in Davos, Switzerland on July 30th. It’s 1800m of elevation gain, which is more than I normally do in a day of mountaineering, but I won’t be wearing a pack full of climbing gear. Besides, I’m an American and don’t sweat all those little details, I have a mountain heart and fierce, fierce determination, full of undeserved confidence, and anyways, I’m a Doktor of Science and I have a training plan. Now for some full disclosure, I don’t really like running all that much. At least, not on flat pavement, but when you’re running up a mountain you’re connected to the environment, part of the landscape. That’s why I’m doing it, I love moving through the altitude, and thinking that your body and spirit and flowing in the wind. 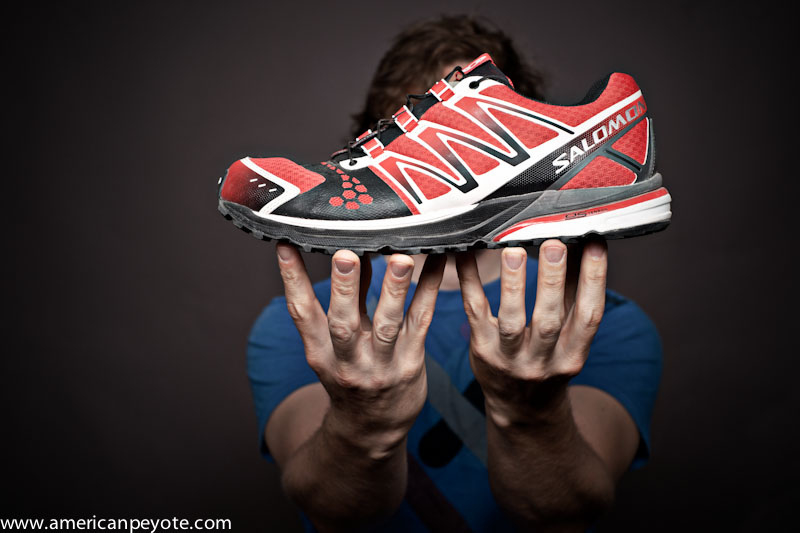 Plus, the running gear that Salomon is offering is hands-down awesome. I know you should’t do sports because of the gear, but I don’t mind admitting that I’m running the SwissAlpine partially because I get to dress up like a superhero. It makes sense, I openly admit being a gear whore. The Salomon trail running shoes I have are amazing. I had a blister from running in my Scarpa approach climbing shoes, and the Salomon shoes don’t even put pressure on the blister area, it’s just amazing. The XT 5 SLAB running pack I’m looking at and their muscle support clothing also looks awesome, I can’t wait to run in the Wallis with the EXO shorts. It’s the perfect form of functional fashion, clothing which looks cool and actually improves your athletic performance. You’ll never find that mix at Dolce & Gabbana or H&M. My official drink for the event and training period is Isostar. 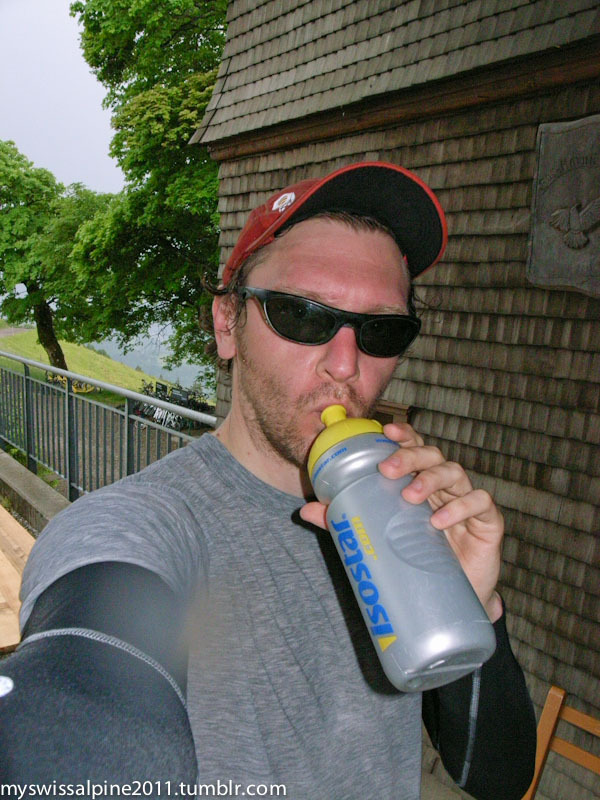 I started drinking it years back when I was looking for a sports mix to help me hike/climb/ski faster and longer in the Alps, and Isostrar does the trick. I haven’t done an testing, I just know I go long and faster when drinking Isostar instead of just water. Gear is motivating, it feels nice to have a pair of Petzl arm warmers keeping you dry and warm when the weather turns dark and thunder rolls from Thor’s hammer across the sky, threatening to zap you with a lighting bolt if you run too slow over the mountain top. However, you have to back it up with results. If I’ve learned anything from the Swiss Startup community, it’s that ideas are useless with determined execution. How do you train for a mountain marathon? I’ve asked the marathon runners and tri-athletes that I know, but it seems like this isn’t a normal type of race. Being a Doktor of Science, I decided to design a program-philosophy on my own. A lot of sources say things about running long distances and ramping up and ramping down, but that does nothing to address the altitude issue. So, instead, I’m training for the K42 like I would for speed climbing. 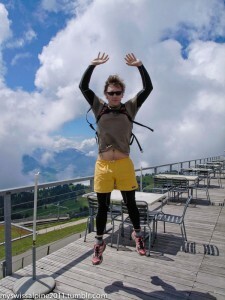 I go to mountains in Switzerland, and try to ascend them as quickly as possible. For example, I ran/walked up Rigi Kulm from Goldau in 1 hour 50 minutes last Saturday, that’s a pace of about 500m/hour and matches my basic goal for the K42. It means I should be able to finish the K42 in 5-7 hours, which is 1800m up and 1600m down. It’s not for sure I can do it, I’ve never run a marathon before, I just like the mountains of Switzerland. However, I see no point in not being positive. That’s what Americans excel at, backing up an undeserved excess of self-confidence with measured results. In this case, I think a mountain madness training philosophy makes sense. Later this week I’m heading to Bettmeralp to train around the Great Aletsch Glacier. That’s why I’ll attempt a day trip in Bettmeralp, going from the dorf to the Oberaletsch SAC mountain hut and back. It’s an excessive amount of up and down and I’ll be leaving early in the day and coming back late at night. I figure if I just become one with the mountains and altitude and concentrate on being light and fast, I’ll survive. I’ll stay committed to this cause as long as it stays fun. What’s the point if you’re not having fun in life doing what you’re doing? I’ll add the big posts on my blog, but I’ve also started a new Tumblr with all the images and randomness of training for the SwissAlpine, http://myswissalpine2011.tumblr.com/.